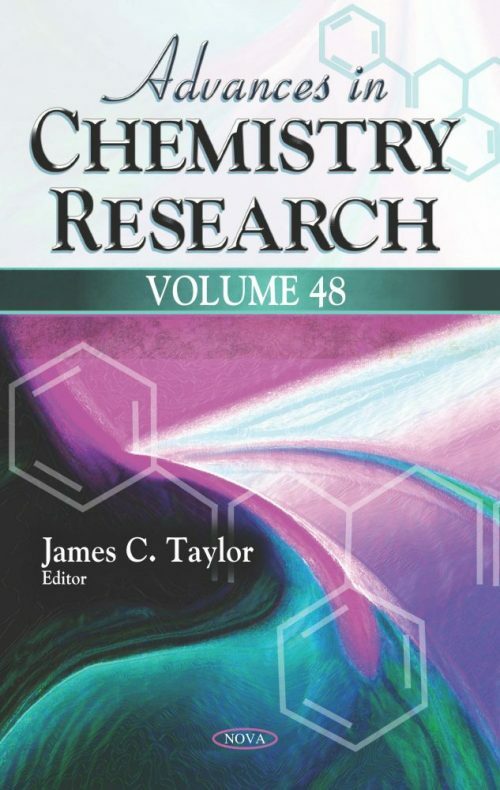 Advances in Chemistry Research. Volume 48 opens with a discussion of statistically significant evidence of the application of stochastic dynamics, in particular, the Box–Müller’s method, for studying the temporal behavior of the mass spectrometric intensity. The presented model equations, based on stochastic dynamics, are validated using another source of evidence of mass spectrometric diffusion parameters called the “current monitoring method”. Crystallographic data of five of the studied crystals are presented for first time together with an electron density analysis. Next, the authors cover different analytical techniques that have been used for the analysis of sulfacetamide and its degradation/metabolic products in order to develop a better understanding of the assay of the active drug. The various techniques employed for this purpose are discussed. The following chapter presents methods of the stereoselective C-acylation and their applications in natural product synthesis. Compared to stereoselective aldol reactions, stereoselective acylation reactions are not frequently used but are still important methods because they are irreversible reactions, while some aldol adducts undergo the retro-aldol reaction.